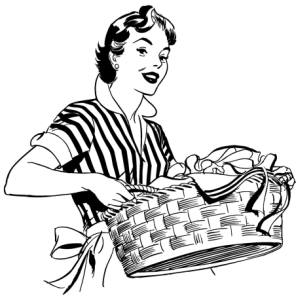 Laundry Moms offers four laundry packages plus a pay as you go option. All packages PROVIDE FOR ONE PICKUP AND DELIVERY PER WEEK FOR twelve (12) weeks. When you sign-up with Laundry Moms, you are provided with a laundry bag that will hold up to 30lbs. This option is designed for the individual who just wants their laundry done from time to time, or just wants to pay as they go. You can give us a little or as much as you want and you are simply charged by the pound. This package holds up to 10 lbs of laundry. 1 set of queen sheets. PRICE: $326 for 12 weeks of service (one pickup/delivery per week). If your laundry bag exceeds 10 lbs, you will be charged an additional $.99 per pound. This package holds up to 15 lbs of laundry. PRICE: $359 for 12 weeks (one pickup/delivery per week). If your laundry bag exceeds 15 lbs, you will be charged an additional $.99 per pound. This package holds up to 20 lbs of laundry. PRICE: $394 for 12 weeks (one pickup/delivery per week). If your laundry bag exceeds 20 lbs, you will be charged an additional $.99 per pound. This package holds 25 lbs of laundry. PRICE: $429 for 12 weeks (one pickup/delivery per week). If your laundry bag exceeds 25 lbs, you will be charged an additional $.99 per pound.